Once upon a time, Martians and Venusians functioned in separate worlds. But in today's hectic and career-oriented environment, relationships have become a lot more complicated, and men and women are experiencing unprecedented levels of stress. To add to the increasing tension, most men and women are also completely unaware that they are actually hardwired to react differently to the stress. Can you keep the fires of passion burning? Men and women have very different physical needs. 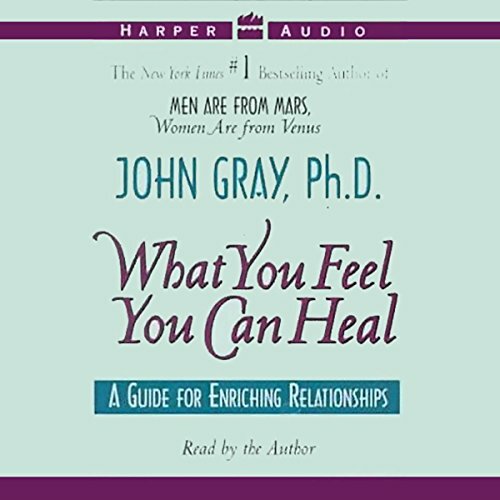 But Dr. John Gray explains how both can make small but important adjustments in their attitudes, schedules, and techniques so that their partners are happy in the bedroom - and outside of it. 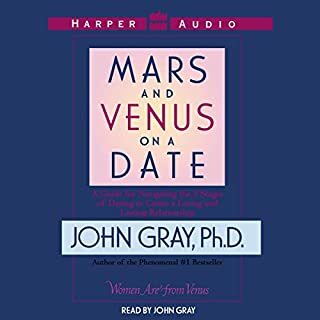 In Mars and Venus on a Date, John Gray blasts off into the exciting new territory of the singles universe, turning his unique expertise to unattached men and women who desire lasting intimacy. The rules of relationships have changed. In our generational movement toward wholeness, women want to be more than mothers and homemakers, and men aspire to loving relationships rather than simply being warriors and work machines. The age-old distinctions between male and female roles have blurred, and the rules of relationships have not yet caught up, creating confusion and frustration. Never had something so informative!!!!!!!!!!!!!!!! After years of experience leading communication workshops and honing his own parenting skills, John Gray has created a brilliantly original and effective system that he calls positive parenting, for children of all ages; from birth through the teenage years. Completing the notion that "Men are from Mars, Women are from Venus", he adds "Children are from Heaven". 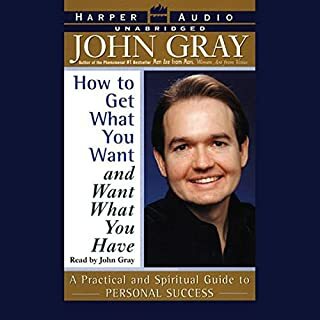 Here's the audiobook to help you get what you want, and be happy with what you have. 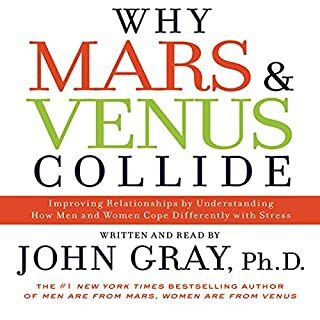 John Gray, the man responsible for helping millions of people improve their relationships in his bestselling Mars and Venus books, has written the essential guide to personal success. This is a tape of love stories, a collection of true-life tales that will show you something about your own love story that may have eluded you for a long time. A few insights, techniques, and changes in habits of mind and body nourish love and make it grow, and like little one-act plays, these stories show you how. Sadness, shame, helplessness, anger, embarrassment, disappointment, frustration, and vulnerability. In 30 years as a practicing psychologist, Dr. Joan Rosenberg has found that what most often blocks people from success and feeling capable in life is the inability to experience, move through, and handle these eight unpleasant feelings. Knowing how to deal with intense, overwhelming, or uncomfortable feelings is essential to building confidence, emotional strength, and resilience. 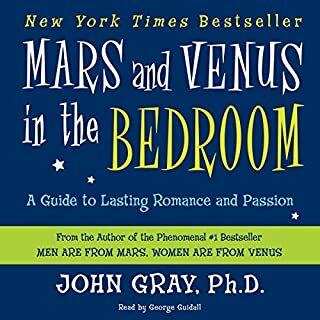 Narrated by: John Gray Ph.D.
John Gray, who celebrated gender difference in his groundbreaking work Men Are from Mars, Women Are from Venus, turns to diet and exercise as a source of well-being and harmony. 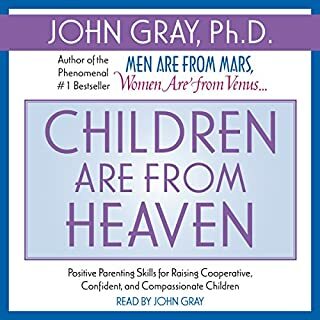 This practical audio guide addresses the unique needs of men and women to reveal how diet, exercise and communication skills combine to affect the production of healthy brain chemicals. Manimals: Understanding Different Types of Men and How to Date Them! It's time to get down to business and define the different types of men, so you can have a better understanding of what you are getting yourself into and how to date these types of guys. Equally important is defining the different types of women, so you can determine which category best describes you. Of course, we all have bits and pieces of several personality types, but one usually prevails. When you bring your energy back into balance as a woman, you bring your relationships, life and body back into balance. Many women in today’s world are running on dominant masculine energy leading to burn-out, stress conditions and deep unhappiness. Start to bring your radiant feminine self back into balance today in just 12 minutes with this guided meditation. Reclaim your feminine power, inner peace and wellbeing. This is a gift to yourself. In Win from Within, John Gray helps listeners identify how best to handle the most difficult, challenging, and yet necessary battle we all face: our inner struggle to overcome the worst versions of ourselves. He offers biblical lessons to aid in combating bad habits and limiting patterns so the best version of ourselves emerges. For more than 30 years, Gay Hendricks has served as one of the major contributors to the fields of relationship transformation and body-mind therapies. In his updated classic, Learning to Love Yourself, Dr. Hendricks provides a honest, fresh, yet timeless, approach to handling your feelings and developing a deeply positive sense of self-worth. This book has helped tens of thousands. Consciously or unconsciously, everyone is trying to enrich and improve their relationships in some way. Enriching our relationships is an art and a science. For this enrichment to happen, even before we can find and accept love, we have to love ourselves. Through his experience in working with others to heal their pain, Dr. Gray has found patterns and messages that many of us received while growing up. These messages can keep us from loving ourselves and from loving and receiving love from others. By exploring how these messages became ingrained in us while we were young and how we are using them today, we can change old patterns and thoughts about ourselves and others as well as create long-lasting, fulfilling relationships. John Gray tells us that "loving yourself in the presence of others means being able to express your inner gifts and talents without fear. When you don't love yourself and mask your real self, the cycle works in the opposite direction, decreasing love and true self expression". ©1995 HarperCollins Publishers, Inc. (P)1995 HarperCollins Publishers, Inc. Wonderful narration. Now I understand what loving yourself and others really is. I believe every human being sold read! ..teacher etc. so Valuable!!!! wish I didn't wait 53 years to learn! If you could sum up What You Feel You Can Heal in three words, what would they be? John Gray! Because he is an amazing writer! It made me think in a good way. Loved it! Insightful suggestions and very thought provoking. The love letter is the best suggestion. My husband and I listened to this book at a time when we were struggling the most and it really helped us. I would recommend it to anyone. In vunralbility there is strength. Using words as tools and speaking with purpose will change every interaction that you engage with for the rest of your life. The truth will set you free. Lots of good advice and insights. I have read a lot of his books and listened to a few of his audio books. 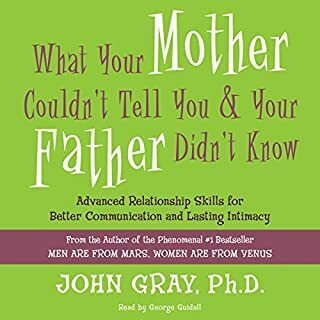 The love letters part is a repeat from his book “What your mother couldn’t tell you and your father didn’t know.” I still got something out of it and some wisdom that I didn’t know and some that confirms what I already know. Some I don’t agree with and some that is generalized. Overall a helpful book.